Eating some b-sprouts as I type! On top of a bed of creamy polenta with a runny egg on top. 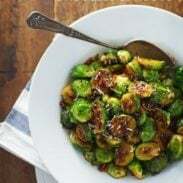 I so need to get caramelized brussels sprouts in my life ASAP. Brussels sprouts ARE on every menu in D.C. It’s like an obsession here! And, I’m not complaining because they are all delicious. Next time you come to D.C. you must go to DCity Smokehouse. Officially the best sprouts in the entire city. I’m going to try to replicate them on my blog in a few weeks! P.S. Orange maple glaze = delicious. I’m glad that I’m not the only one who orders brussels sprouts when I go out! I love them & if I see them on a menu, I have to try them. We had the most amazing brussel sprouts in Las Vegas. I need a great recipe because I want to make them at home. These look fantastic! Ohhhhhh my goodness. Brussels sprouts are officially my new favorite veggie. I eat them every day as part of my breakfast — no joke! Right now I love roasting them until the outermost leaves are crisp and crunchy (best part! ), but caramelized… Those photos alone may be enough to convert me. It’d totally be worth the effort of placing each one cut-side down. Totally. Wow, these look so good. Luckily, I have some brussels sprouts that I didn’t know what to do, other than my usual cooking method. 🙂 Thank you! 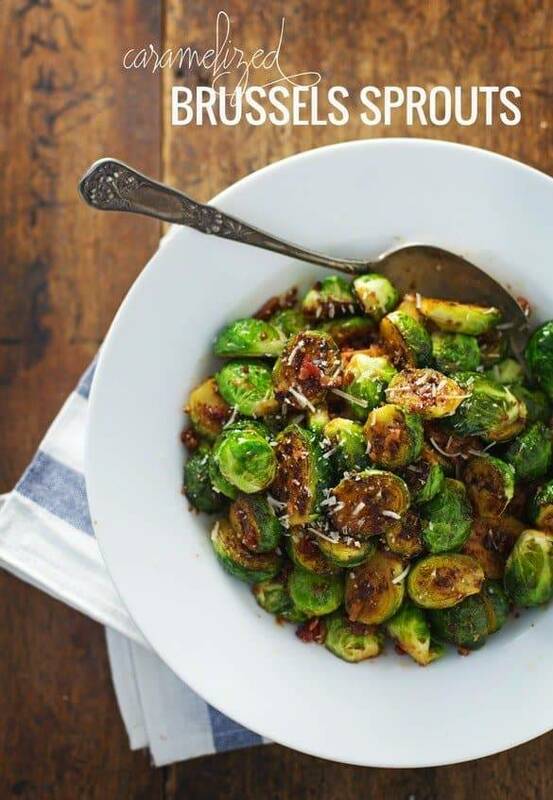 Caramelized brussels are the best! I made them in the fall and cannot get enough. SO GOOD! I had a plate of something like this in a restaurant in Melbourne Australia with honey and walnuts. They were so delicious (even hubs, who normally hates brussels, liked them) and even reminded me a little of that lovely salted crispy seaweed you can get in Asian restaurants. Yours look delicious too! Love the idea of adding maple syrup. I’ll make a vegetarian version!!! 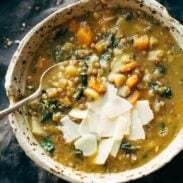 I love this recipe because it looks soooo good and it’s really easy! Such a beautiful and healthy side dish! I am not so much fan of the sprouts but I have been thinking more and more that I want to try again with different recipes. This one looks very tempting. Love that you explained your process to get to your final desired result–very helpful for the cooking nerd in me, and much less daunting than a similarly structured Cooks’ Illustrated article (must be why I’m reading this instead of tackling the current CI issue on my countertop). Try them raw/shredded, too! My favorite way (besides caramelizing)! I feel like such a bad healthy living blogger – I’ve never had a brussel sprout!! I just say that I like them because they look so good 🙂 why do they have such a bad reputation with kids? Same thing with spinach. It’s really not that bad! These look SO yummy! 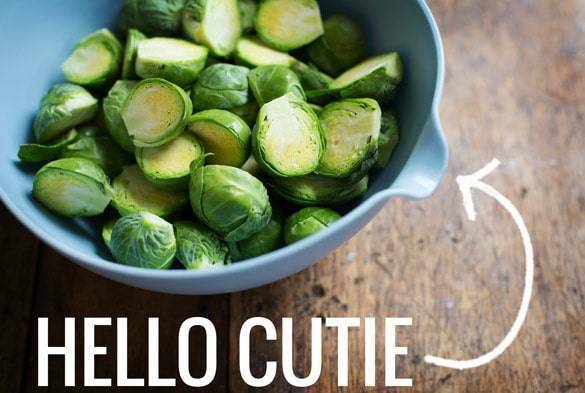 We LOVE brussel sprouts here too! I make them every year for all the holiday parties! These look yummy! I cannot wait to make them. Thank you for sharing. I’ve been making something similar to this but I can’t wait to try your version! How delicious do they look, you had my attention with that first photograph. I have to try them. Thank you for sharing. I love brussels any way I can get them. These caramelized beauties look delicious. 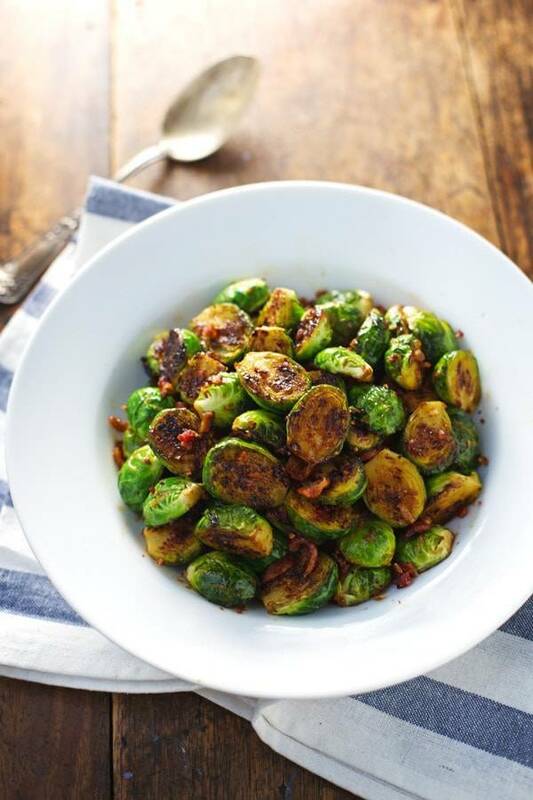 Brussels sprouts are my favorite veggie, and caramelizing them is a fantastic idea! THANK! I love roasting brussel sprouts – I made a brussel sprout and bacon pizza last week. YUM!! Loos absolutely delicious! Thank you! I was the weird kid whos favourite vegetable was the brussel sprout growing up. Nice addition of the the sweet concept. There was a deserate tsp subsitute of honey for maple as we were down to the last drip. I was dubious about the five minutes cooking time. I left mine longer ‘plain’ before ading the glaze – maybe 12 minutes. I had a very juicey orange and dumped it all in before measuring, ending up with around 3/4cup . I used the extra liquid to partially boil the sprouts longer on a low heat. The sprouts are perfect for a salad as they are still somewhat raw and have a great crunch about them. Brilliant! I’m 200% with you being Jillian Michaels on me if it gets me these beauties. Pinning these and making them ASAP.